There’s more to good oral health than a bright smile. The health of your mouth and teeth is directly connected to your overall health, not to mention the quality of your life. We are what we eat, right? But in order to eat, everything must pass through our mouths. It’s no wonder that problems with our teeth and gums can adversely affect our overall health. Cavities, tooth loss and periodontal disease (gum disease) can not only contribute to certain health issues, such as heart disease, they can also limit what you eat, how you smile, or even how you speak. Poor oral health can be costly to your long-term health, your lifestyle and your finances. Luckily there are 10 Tips for Healthy Teeth that you can follow to help avoid long-term tooth and gum problems. Some of these include maintaining GOOD habits for your oral hygiene, staying mindful of what you eat and incorporating some tips into your daily life. Committing yourself to even a few of these tips will go a long way towards keeping your teeth, and your family’s teeth, healthy for life. 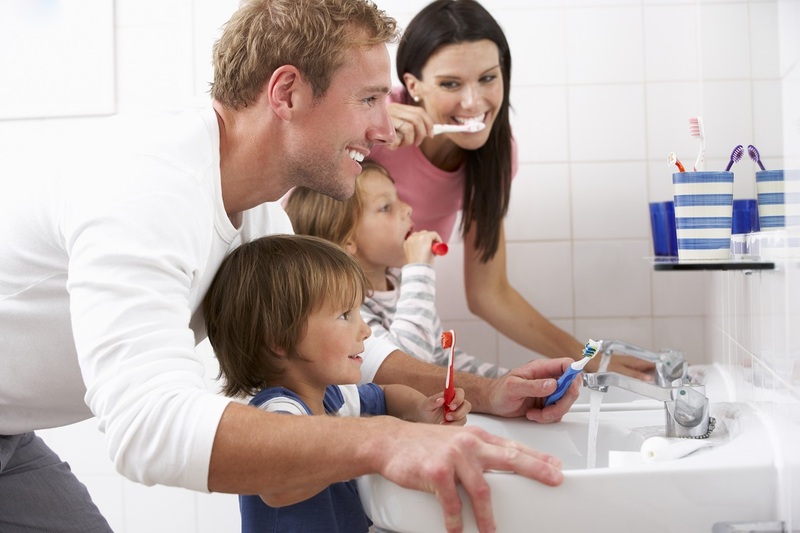 Learn how to keep your family’s teeth healthy for life.